One of the largest mortgage lenders in the UK, the Bank of Mum and Dad are providing crucial cash injections to one in four property purchases, as were set to give or loan over £5.7 billion in 2018 alone. With such generosity comes the risk of putting your financial future in jeopardy, however, so we’ve pulled together some tips to make it a little easier on the purse-strings. Interestingly, whilst British parents are propping up property purchases worth £82 billion, the amounts being handed over by the Bank of Mum and Dad are actually in decline. Overall, the amount changing hands fell 17% over the last 12 months, research from financial services company L&G shows. As you would expect, the picture is different across the UK, with contributions from parents in the northeast and southwest sinking, whilst parents in London dig deeper into their pockets, with contributions rising to over £30,000. It’s no surprise parents are being so generous, it can take first-time buyers up to a decade to save for a deposit, research from Which? Mortgage Advisers shows. Over two-thirds need to save for over 24 months to buy a property, whilst a quarter of Brits need five-10 years to save. When it comes to lending or giving your children a chunk of cash, it’s important you seek financial advice. You may want to gift some or part of it, but you can also explore the option of loaning the money and charging interest. This is popular with many parents. The average interest rate on Bank of Mum and Dad loans in 4.3%, which is much higher than the standard bank rates of 2%, crowdfunding property service UOWN found. Whilst it’s noble helping your children onto the property ladder, it’s important you don’t sacrifice your financial future in the process. Parents are raiding their life savings, releasing equity on their homes or downsizing, or even using some of their pension tax-free lump sum in equal measure to help their children buy property. 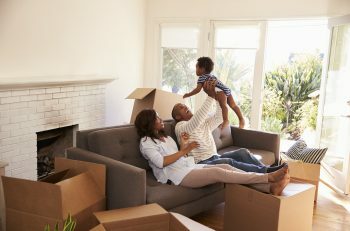 Being the ninth largest mortgage lender in the UK comes at a price though, as L&G found that nearly 1 in 5 parents are accepting a lower standard of living, whether that’s cutting back on a holiday or delaying a car purchase. With house prices so expensive, it can feel like you have to do something drastic to help your children across the threshold. But there are some simple ways you can make your money work harder for you and your family, without it impacting your future financial wellness. You can invest up to £20,000 in your stocks and shares ISA each financial year, and watch your money grow, knowing it’s protected in your tax-free wrapper. If you’re looking to give or loan your children money in the next five years, you may want to look at putting your money in a cash ISAs – although you won’t be able to earn high returns. If you’ve got five years or more to save, you can make your money work harder for you on the financial markets. Inflation can eat into the value of money sat in cash accounts earning negligible returns, which can be a bitter pill to swallow over the long-term, especially against rising house price trends. You can split your annual allowance between a stocks and shares ISA, cash ISA, Lifetime ISA (LISA), and Innovative Finance ISA. It’s an individual allowance, which means couples can put up to £40,000 in their ISAs each year to benefit from the tax-free returns. We’ve developed three long-term investment plans for people wanting to make the most of their ISA allowance. Below, we’ve outlined what you could have by investing in a £400 a month, £800 a month or £1,600 a month regular investment plans for 10 years. We’ve assumed you’ll have invested in a balanced diversified portfolio with 60% exposure to equities and 40% exposure to bonds. We’ve also factored in a 1% annual fee charged quarterly. If you’d started investing in this 60/40 model portfolio in 1990 and continued to mid-2018, your money would have grown by an annualised 7.49%. We’ve assumed this rate of growth for our regular savings plans below, along with a more conservative 5% growth estimate – in line with guidance set by the FCA. If you put £400 into your ISA each month, you’ll have £67,122 to give your children to help them on the property ladder, assuming 7.5% growth. Take more of a conservative view and this falls to just over £59,000, although this will still make a meaningful impact on your child’s deposit, helping them agree a more favourable deal on their mortgage. If you’re looking to use half of your annual ISA allowance, you should set up a direct debit for £800 a month. You’ll have over £118,000 if your investments grow at an annualised 5%, or £134,243 if your investments continue their long-term trend and grow by 7.49%. This will give you the freedom to split between siblings, or put down a larger deposit, making the mortgage agreement even better for your children, and giving them the freedom to invest in their own future. To invest your entire ISA allowance each year, you’ll need to invest £1,600 a month. You’ll be in a good position after ten years, with £236,375 if your investments grow by an annualised 5%, or nearly £269,000 if they grow by 7.49%. You may even be able to buy a property outright for your child in this instance, depending on where you’re looking. You’ll still have £800 of your allowance to play with each year, but you can add this to your investments to make your money work even harder. Remember, if you don’t use your allowance in the tax year, it doesn’t roll over – so it’s use it or lose it. Don’t sacrifice your future with your generosity. The benefits of starting as early as possible are clear to see, but it’s never too late to start saving for your family’s future. Work out how much you can invest each month, and stick to it. The benefits of pound cost averaging mean you can maximise your returns by smoothing out the price you pay for an asset, lowering the total price during any uncertainty.